Gluten is found in wheat, rye, barley and any foods made with these grains. There are numerous foods that contain gluten, the most common of which are baked goods (bread, muffins, cookies, crackers), cereal and pasta. Now I know what you are thinking, but no. I am not here to preach that the elimination of bread and pasta causes weight loss. This is already a well established fact and I’m sure would come as no surprise. Beyond admittedly having shed a few pounds and feeling less bloated on the gluten-free diet over the past month, I have experienced a profound difference in my DIGESTION. For much of my adult life, regardless of my weight and fitness level, my digestion has been consistently inconsistent. Sometimes my digestion was hard, sometimes it was soft, sometimes it came in the morning, sometimes it came in the evening, sometimes it came multiple times per day, sometimes it didn’t come at all. Anyway, I think you get my point. I know that many other factors can affect digestion (i.e. exercise, sleep and stress), so I never considered my inconsistent digestion a major problem. Whenever I did seek medical advice, however, I was always told that the solution was to increase my fiber intake. Based on the diet I have been eating over the past 3 years, abundant in fiber-rich fruits and vegetables, I have never noticed an improvement in my digestion. Alas, it was not until I eliminated gluten that I have finally witnessed a remarkable improvement! You know the kind of digestions that your little kids have where you marvel at the large perfectly shaped cylinder that just exited their body, shout in amazement and slap them a celebratory high-five? THAT’S THE KIND OF DIGESTION I’M TALKING ABOUT. I believe that these digestions are a product of optimal intestinal function, and there is plenty of available research to validate the notion that eliminating gluten from your diet can foster such improvement. Looking over the past century, it is easy to see how our food supply has changed dramatically….particularly the introduction of highly processed foods. Some experts believe that the wheat in our food these days – definitely not the same wheat our grandparents ate – can cause and/or exacerbate intestinal inflammation. Two recent New York Times Bestsellers, WHEAT BELLY and AGAINST ALL GRAIN, both lend credibility to this hypothesis. Meanwhile, clinical research indicates an increased incidence and prevalence of IBD (Inflammatory Bowel Disease, such as Crohns, Ulcerative Colitis and Celiac Disease). My experience is particularly interesting….because I have not been diagnosed with IBD, nor do I believe that I suffer from IBD, yet I have witnessed some very profound and compelling benefits of eliminating gluten from my diet. I’m not going to tell you that eliminating gluten improved my eyesight, helped reverse hair loss, increased sleep or relieved pain (you can find all of these claims if you Google them). But I am telling you that eliminating gluten did absolute wonders for my digestion. And yes, by digestion I mean poop. Get over it. I never had any symptoms of celiac disease. Last year, I was diagnosed with celiac disease and went on a gluten free diet based on my gastro doctor’s recommendation. Ever since being on the gluten free diet, when I try gluten free breads, pastas, or other items labeled as gluten free I sometimes suffer abdominal cramps & loose bowel movements. I only suffer these symptoms when using food items marked as gluten free. My personal physician somewhat doubts that I have celiac diease, as if the gastro doctor had seen the villa folding over there would not have been any need to follow-up with blood tests. 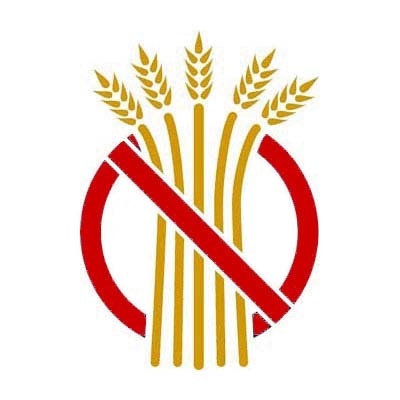 Another gastro doctor agreed with this assessment, as the golden test is to diagnose celiac is to see it, but on follow-up tests, the blood tests revealed an IgG: 20 & an IgA: 22, plus one negative DQ8 test and one positive DQ2 test. I just wonder if I really have celiac based on never having any symptoms and only experiencing problems with eating gluten free item? I’m sorry to hear that. As stated, I have never been diagnosed with a gluten sensitivity. These are just my personal observations. Best of luck to you! I eat gluten free and don’t find it necessary to eat foods labeled gluten free per se. Fred, maybe avoid pastas, breads etc (regardless of label) and eat whole foods that are naturally gluten free?